I remember reading an article a while back stating that 72 % of Canadian executives admit to having no plans to deal with a major disaster affecting their companies or organizations, despite feeling personally responsible for the matter. I believe this situation stems in large measure from three things. The first is what I call linear, or magical, thinking. This means we view the future as essentially the same as the past. The second reason for a lack of preparation is that many leaders don’t realize all the potential dangers, threats and risks that they face. The last reason is that many executives may see the risks and dangers, and may want to deal with them, but they don’t necessarily have all the tools to do so adequately. My philosophy is that a little preparation and planning always go a long way during any type of crisis. There is a lot that can be done before a crisis hits, and the effective executive takes a strong and positive leadership role in doing so. Here are 9 techniques and principles you can apply as an organizational leader to prevent or better prepare for a crisis, before one strikes. 1. Mobilize your team by anticipating and identifying potential crises before they strike. One of the key roles of a leader is to be prepared personally for challenging situations, and to also prepare their organization for these challenges. Some refer to this state as one of resilience. I think this is a very good word to describe what I’m talking about. As senior executives, you must take a leadership role in your organizations with the various stakeholders. Sometimes this might mean risking being unpopular or even rocking the boat, but that is part of the price of responsibility. 2. Implement rational risk management and prevention measures. To the extent possible, senior executives must exercise due diligence in ensuring their organizations can deal with the identified threats. This includes identifying and resourcing measures to prevent these calamities from happening, and mitigating predictable risks. Risk is the product of probability of occurrence and consequences. Some events might be highly unlikely, but when they do occur, they would be disastrous. Others are more likely but they don’t necessarily have a disastrous impact. On the other hand, they could have many risks that are not life threatening but still thoroughly unpleasant. 3. Establish priorities for prevention and preparation on an ongoing basis. There is never enough time, money, people or other resources to do everything that needs to be done. Priorities must be established on an ongoing basis for work and development based on a rational assessment of threats, dangers, and risks. These factors should by no means be considered exclusive, but they are a starting point. 4. Create robust contingency plans to deal with the most likely and most dangerous situations you can envisage. It enables anticipation by delving into a potential situation beforehand so that possible outcomes can be assessed and weighed as to impact. If the situation changes, you and your organization will be better able to adapt, because many of the changes will have been foreseen and possibly even addressed beforehand. It creates a common language for everyone involved in the organization’s mission. As the situation or the environment you are operating in changes, the plan can be readily adapted and communicated on the basis of a pre-existing common understanding. It forms the basis for sound organization and organizational design. Plans tell you what needs to be done, by when, and with what resources. While no plan can cater to all situations, one must remember the old adage: If you fail to plan, you plan to fail. The best approach is to develop contingency plans to deal with the most likely and the most dangerous scenarios. Once this is done, elements of these plans can be abstracted to become key procedures or sub-routines that can be applied to any number of unforeseen situations. 5. Implement sound policies and procedures for the most likely crisis situations and events. Pre-established procedures and policies are essential in any organization to deal with crises and discontinuities of all kinds. Procedures tell everyone what and how to do things and help in navigating the crisis in the face in incomplete information. Moreover, they provide a common footing to avoid panic and ad hoc responses. 6. Prepare yourself, your team, and your team through diligent practice and training. Once contingency plans and crisis procedures/policies are in place, they must be practised. This does two things. First, it creates systemic learning by everyone involved. Second, it allows the leadership to test the plans and procedures, fundamental assumptions, training, people, equipment, and infrastructure. Organizations that are particularly vulnerable to discontinuities should have a well-defined practice plan covering everything from “table top” exercises to full-blown simulations and exercises. These should be implemented with diligence and insight. It’s not enough however to just hold an exercise and then close up shop until next year. You must try to learn as much as possible from the exercise and then adjust your plans, policies and procedures as well as ensure they are implemented, promulgated and practised again in the future. It’s not practice that makes perfect; it’s perfect practice that makes perfect. 7. Employ trusted advisors and associates and ensure they are well qualified and working as a team. This is probably the most important element of all. Executives and managers in positions that are critical during a disaster, emergency, or crisis must be capable of functioning in that situation. This starts at the very top of the organization. Executives who tend to lose their cool or who can’t handle excessive stress must be educated and coached. Leadership entails accountability for actions and behaviour. With that said, no person is an island. The leadership demands in positions of high responsibility are such that no one person can be expected to have all the answers to every single issue that crops up. Asking for advice is not a sign of weakness but rather one of confidence and poise. All effective leaders, no matter what the field, surround themselves with teams of advisors and associates. The advisors should know the leader and not be afraid to tell it like it is. Conversely, the leader should not hesitate to seek counsel in times of uncertainty or crisis. Anyone who can ask for advice and genuinely want it obviously feels secure. Providing the leader is decisive and prone to take action, asking for advice often leads to greater power. This is because it taps into the native abilities of countless others, simply by asking them what they think about an issue. This is also known as the leverage of other people. What’s more, it empowers employees who then feel they are contributing to the outcome. This sets up a reciprocal situation of mutual respect and influence. Both of these are the main currency of effective leadership. 8. Build as flexible and resilient an organization as possible within the constraints of time and resources. Organization is the art and science of creating processes and structures to successfully implement plans. The basis of efficient organization is twofold: assignment of responsibilities and resources and common processes and procedures to carry them out. The best way to assign tasks and responsibilities is to list all of the discrete tasks and roles and to identify who exactly will be responsible for them. Following that, the resources required to carry out these responsibilities must be assigned according to the priorities of the plan. After the assignment of responsibilities and resources, teams and the organization as a whole must develop common processes to ensure quality, consistency, and accountability. This makes it easy to determine the reasons for success and failure and to either build on that success or to correct the weaknesses. It also creates a clear accountability framework as all responsibilities are assigned to individuals beforehand. 9. Work on becoming more self-aware as a leader and seek to acquire the competencies to lead in a crisis. The final principle I would like to cover before a crisis strikes is that of the leader’s own competence and self-awareness. Research shows that people who are successful and highly effective are also highly self-aware. Moreover, we also know that highly experienced executives and managers make the best leaders during a crisis or an emergency. Find out what your social style is. Learn about your leadership and decision-making preferences. Know your strengths, so you can build on them, and your weaknesses and failings, so you can compensate for them through others or technology, and thus avoid having to deal with them in a crisis. Crises and emergencies are taxing to individuals, groups and organizations. Many people are automatically thrown into a fight-or-flight reaction, and others simply become depressed and passive. Either way, the stress on individuals and groups is significant and can be highly debilitating for performance. There is a direct link between the quality of leadership and the abilities of people to function adequately under the stress of crisis conditions. Moreover, crises call for highly engaged and dynamic decision-making. Crisis and emergency management can contribute to planning and organization of action, but only effective leadership can provide an adequate level of motivation and cohesiveness to allow the group to function successfully. This has been demonstrated time and again in psychological research and is a well-known fact for anyone who has led people in emergencies and other life-threatening situations. What can you, as a leader, do to help your team or organization cope with the stress and anxiety of crisis? 1. Take charge of the situation. This is related to the last technique before a crisis strikes. If you have confidence in your abilities and know your strengths and weaknesses, you will be much better prepared to take the reins when a disaster or crisis strikes. This may sound simple, but during a crisis it is one of the most difficult things for a leader to do. Just think of a medical emergency. The critical first step is to take charge of the situation, whether you know anything about first aid or not. People tend to react favourably to direction and decisive leadership in such a situation. Shrinking back from responsibility will only undermine your authority and will lead to a downgrading of respect for you once the crisis has passed. It will also create an opportunity for inaction. 2. Recognize what is happening. Admit up front to the gravity of the situation. Don’t look to assign blame as it will only create conflict and undermine cohesion and morale. Also, a forensic search for causes is only relevant to the extent that it can contribute to solving the immediate problem. All the signs are there, you just have to read them and come up with contingency plans. In fact, this is a situation where potential crises may be headed off by transforming them into opportunities. No amount of management will do that however, only vision, and extraordinary transforming leadership. 3. Confirm information before reacting. The first step is to identify the source or provenance of the information. The second is to ascertain its reliability. The third is to confirm it through observation or trusted report. While this is going on, find a way to plan ahead by considering your options. Involving your team in these steps will go a long way to alleviating the anxiety that results from uncertainty. It will also mobilize their minds and hands. Busy people have much less energy to fret and start rumours. This is the corollary of the previous point. It’s important to collect the right information, not just any information. Moreover, it’s critical that all information be weighed as to validity, reliability, and risk. 5. Lead from the front. It is in times of great change and confusion that world-class leaders truly earn their keep. Military commanders know that they can’t command and lead their forces from the safety their command post. The same applies to business and organizational leaders. This is leading from the front. Leaders have to get down and dirty with the troops. It doesn’t mean you should be doing your subordinates’ work. However, you do have to get out and about, ask questions, probe responses, question clients, and observe what is happening and why it is happening. Then you can apply your judgment to the changing situation and be present to motivate employees and collaborators. A knock on effect is that you will show your team that you are not afraid of challenges and that you also don’t assume you know everything. This combination of modesty and will is extremely powerful in influencing and motivating others to do their best in difficult situations. 6. Implement contingency plans and procedures immediately while initiating deliberate decision-making about the next steps. There’s a balance to be struck between intuitive and rational decision-making during a crisis. However, during a crisis, when everyone is under stress, particularly the senior executives and leaders, sound decision-making is critical. This is even more important when facing a completely novel or unforeseen situation. One of the leader’s roles during a crisis is to ensure that everyone takes a deep breath and applies some reason and logic to the situation. Apart from a situation involving an immediate threat to life and limb, most situations are amenable to some form of rational and deliberate decision-making. This lets the leader bring in more expertise – two heads are better than one – and it also shows that the leader is ensuring that calm will prevail, despite what everyone thinks. Define the problem. What are we trying to achieve, prevent, avoid? Analyse the problem. Identify objectives and criteria (essential and desirable), assumptions and limitations. Evaluate the alternatives and then decide on a course of action. Validate the robustness of the course of action then make a plan and implement it, adjusting as information becomes available and progress is made. Conversely, one of the biggest failings in leadership is “analysis paralysis”. This happens when executives and managers fail to take action despite having sufficient information to do so. Most experienced leaders and executives would advocate moving when 80 % ready. The remaining 20 % of information or preparedness will rarely, if ever, materialize. Besides, it would likely be rendered irrelevant in any case as the situation evolves. If you are facing diminishing returns in gathering information and in the clarity of the plan, then that is normally a sign that further planning is counterproductive. Just because a crisis has hit is no reason to stop contingency planning. It is imperative to do so. The ability to plan ahead is critical in any situation, but all the more so in a crisis or emergency. Before an emergency or crisis, it is important for a leader to mobilize his or her team to consider possible unfavourable or unforeseen scenarios. When crisis strikes, it may not be exactly as envisaged, but chances are that the time and effort spent in considering potential actions will save time and radically increase performance under stress. Stay on top of the situation by developing various contingency plans and considering a variety of options before acting. Bringing subordinates into the decision-making process can be a valuable strategy, so long as the individuals have the requisite know-how and information and that time is not an overriding factor. 8. Act, assess, and adjust. As I said previously, the best solution is usually to act when you are 80 % ready. The final 20 % rarely contributes anything of value, since the situation and conditions it is designed to address will likely change anyway. Furthermore, the effort and cost of attaining “perfection” in plans and organization is usually prohibitive and not worth the additional investment, even when you’re facing a life and death situation. On the other hand, this doesn’t mean you should blindly adhere to plans in the face of changing circumstances. The key is to act, assess the impact of actions, and then adjust the plans to get back on track. What is the litmus test? Ask yourself if continuing on a pre-determined path will get you to your objectives, given changing circumstances and new information. If not, then the plans and organization must be adjusted. 9. Care for yourself and for your subordinates. Caring for oneself as a leader is not selfish. Even in the worst of situations, a leader should wash and change clothes regularly. Regular meals and minimal daily rest are also critical as they provide the fuel to function effectively. Try going 24 hours without sleep and see how your decision-making and judgment are hindered. Extending the same consideration to subordinates and people under your care will go a long way to building their self-esteem and self-efficacy. It will also solidify your reputation as a caring and considerate leader. People willingly make sacrifices for leaders and organizations that treat them with respect and humanity in difficult times. Here are some simple things that go a long way during a crisis to helping people cope and to maintaining morale. They can be applied to your own people and also to members of the public that are under your care or responsibility. Be seen. Get out and about. Tell them what is happening. Keep them informed of the situation. Be hopeful but realistic nonetheless. Ensure the provision of water, meals, coffee, and hygiene facilities. Ensure people get regular rest, even if only for a few hours at a time. Ensure people have a schedule of activities and are on shifts, so they can rest and recuperate. Provide communications to reach home so loved ones can be kept in the loop. 10. Maintain morale and cohesion within your team or organization. There is strength in numbers during a crisis. Teamwork, cohesion and morale contribute directly to individual and group effectiveness during a crisis. They are also known to reduce follower stress and anxiety. The best means of building and maintaining these factors is to create a compelling mission. This provides a rallying point for all the efforts and sets a challenge to the more action-oriented members of the group. Caring for followers and others under the care of the group also creates a focus for improvement and contributes directly to morale and group effectiveness. Morale is one of the most poorly understood organizational concepts today. The term originally comes from the military, where it denotes the willingness of forces to continue the fight until final victory, no matter what the circumstances. This is powerful stuff. Unfortunately, many business and organizational leaders talk about morale, but what they really mean is the mood of the organization. Think of the mood of the American people, and much of the Western world, in the immediate aftermath of 9/11. It was not rosy. People were both saddened and angered by the atrocity that had been committed on U.S. soil. However, a majority in the U.S. as well as in many friendly countries rallied and decided that the time had come to do something about such attacks. So, now the crisis is over. Everyone packs up and goes home, breathes a sigh of relief and hopes against hope that it doesn’t happen again. How often have we seen that situation prevail in the wake of a crisis? Everyone wants to get back to normal as soon as possible. The effective leader, however, knows that that is exactly the right time to do an after-action review and to try to learn the lessons that have been thrown in your face the hard way. This takes courage and resolve and many executives and managers don’t have what it takes to do that. However, it is critical to consider the follow up from a crisis in order to fully implement a sound and effective approach to crisis leadership. Here are some of the things that can and should be done by an executive after a crisis has passed. 1. Lead an after-action review of the events in order to learn as much as possible. The aim of this exercise isn’t to find someone to blame, although that sometimes does need to be done, but rather to ensure that the organization and its members learn as much as possible from the crisis now that it is over. The best approach is to assemble the entire team (or immediate subordinates, as the case may be) with a view to reviewing the events of the crisis chronologically. The aim is to determine as much as possible the exact course of events as well as the decisions and actions of the leadership and organization as a whole. With that done, the next step is to identify strengths and weaknesses in decision-making and execution so that the same mistakes don’t get done again. This leads to a review of existing contingency plans and procedures. 2. Ensure that everyone in the organization has learned from the experience. It’s not enough to simply conduct an after-action review of the events and the reactions to them. It is even more important to ensure that the lessons learned from the experience are disseminated as widely as possible within the organization. As mentioned already, this will necessarily lead to a review of existing plans and procedures as well new training and practice exercises to ensure that the organization is more resilient and robust in the future. 3. Ensure the organization and its people are better prepared for the next crisis. At this stage, the whole process starts over, and the leader’s role is to ensure that the techniques and principles discussed in the first part of this report, pertaining to the period prior to crisis, are implemented with conviction and common purpose. Richard Martin is the founder and president of Alcera Consulting Inc. He helps individuals and organizations to thrive in the face of rapid change, risk, and uncertainty.  More information is available at www.alcera.ca/en.